Are you a hoarder of washi tape because it's just too pretty to use? It's Melinda with you today and I can lay testament to having a large stockpile of washi tape that I use sparingly because... well it's too good to waste. Hmmm, that kinda defeats the purpose of having it! So, today I'm going to throw caution to the wind and show you how to really have some fun with your tapes. Now this week the focus has been on 'Chevron' which is certainly a pattern that has been popular for quite some time and doesn't look at though it's going to disappear any time soon. Thank goodness because it is one of my all time favorites... especially when combined with washi tape. ... yes I went crazy! Now let me show you how I put this layout together... and if you find it almost impossible to use lots of washi tape then please look away now! Firstly I cut a circle from cardstock and laid a strip of washi tape directly across the centre leaving an inch overhang on both sides. 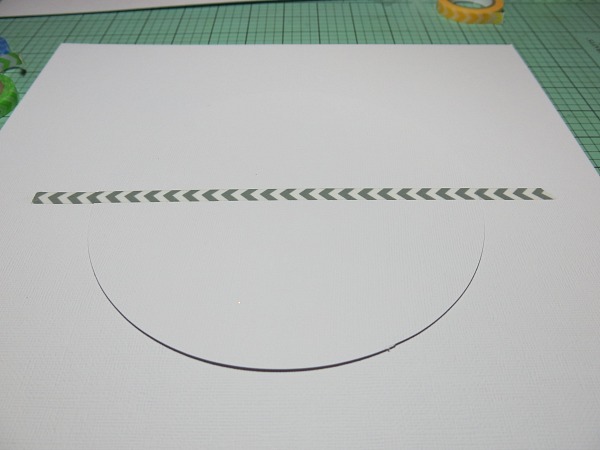 I then positioned my circle onto my background cardstock and used the tape overhang to position in place. 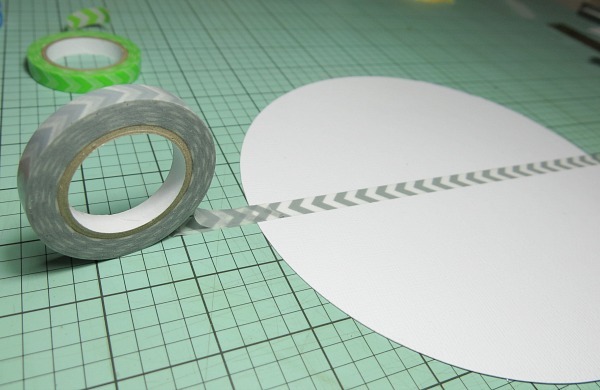 Now for the fun stuff... continue placing strips of tape around the circle until it is completely covered in tape and looks absolutely fabulous for about three seconds before your eyes start to go funny! I then very gently cut around the edge of my circle using a craft knife and then removed the centre piece. NOW PLEASE DON'T PANIC! All that excess washi tape does not have to go to waste. Firstly, you can still use it on other projects because it peels off easily without tearing. You could also grab out some punches and use it to punch out some cute flowers or even confetti. Time to decorate your layout. I added a row of stitching in white just to fill the space around the circle that wasn't going to be taken up with the photo and title, it also helped to define the shape of the circle. 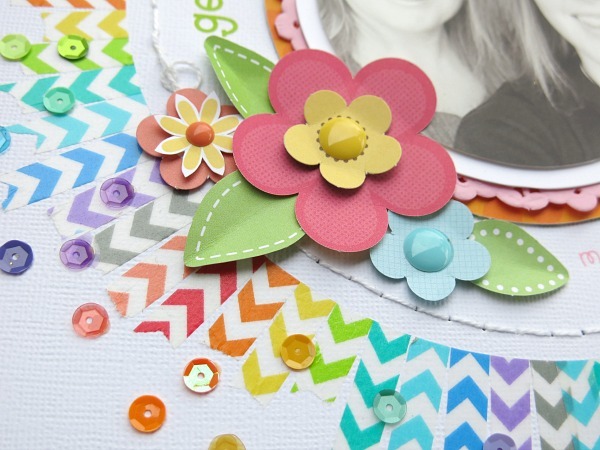 I also used a scattering of sequins to extend the flow of the washi circle and soften the edges of the layout. 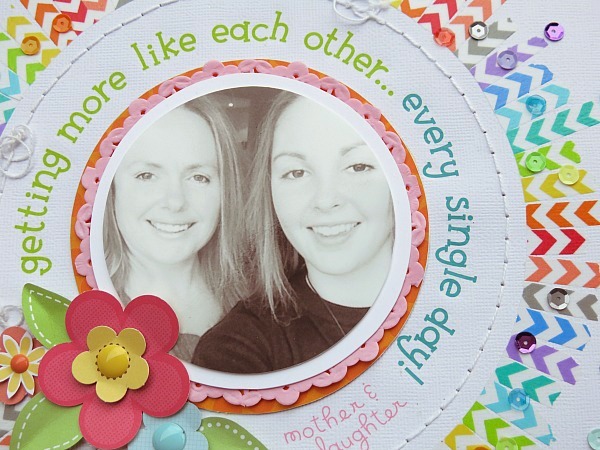 My photo was mounted on a pink paper doilie and the heading was created using rub-ons. Lastly I made up a few flowers from the Mini Flower Kit to fill the space where the title didn't fill around the circle. So, there you have it! 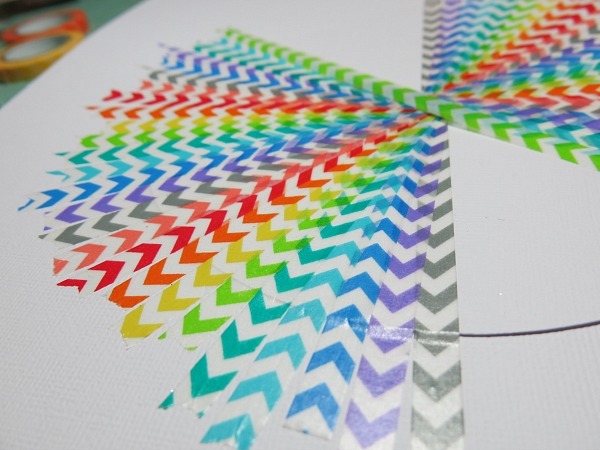 A fun way to start getting the most out of your washi tape collection. Wow... Just fabulous Melinda!!! Another beauty!!! Oh my word!! Stunning LO Melinda!! Gorgeous gorgeous page! 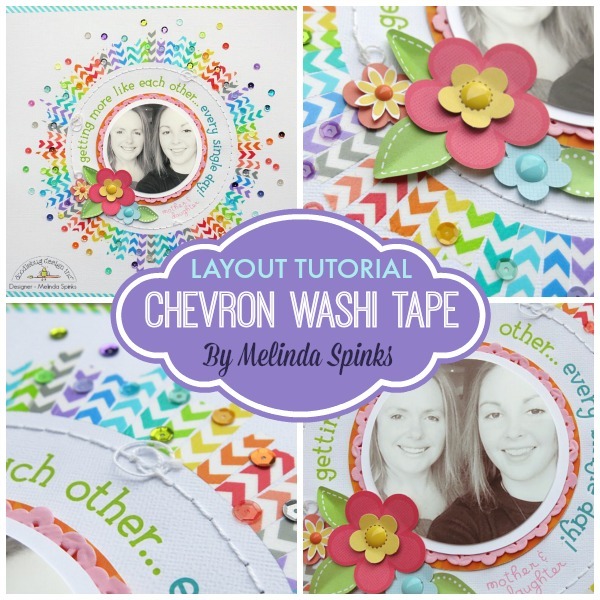 Melinda has done such a wonderful job highlighting the washi and the sequins - so creative and fun!! Gorgeous layout Melinda. Love the use of the washi tape. Wow. This is brilliant! Love it. 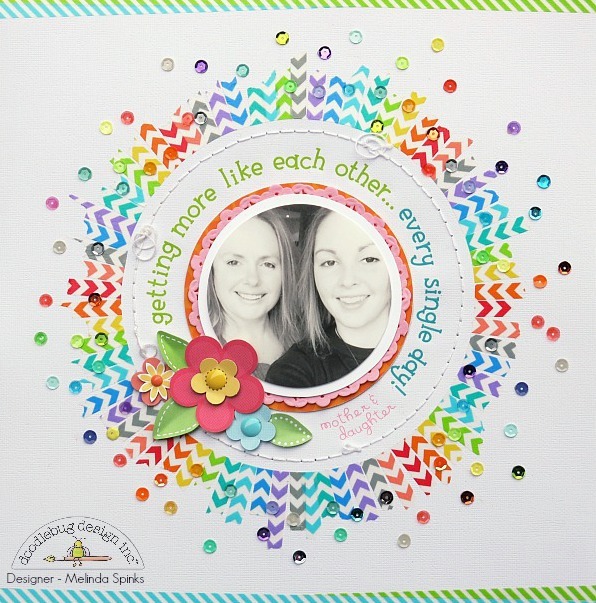 WOW - I am speechless at your AMAZING layout Melinda!!! YOU share such FABULOUS crafting techniques with us Melinda - I am in awe of them and really want to come and play at your house!!! Ohhhhhhhhh myyyyyy gooooooodnessssss... can you guys get any cuter?!?!?!?!?! I am kind of a hoarder of washi tape but I have been trying to convince myself to use it on more projects!! 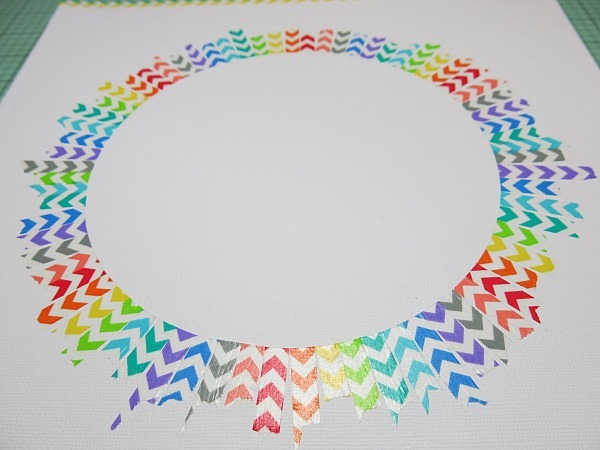 This is a super cool, creative, and so well done way to use washi tape!! It looks so awesome and I LOVE how it turned out - the addition of all the sequins was absolutely GENIUS!!! Melinda totally rocked it!!! I ADORE this layout! I want to make one just like it! 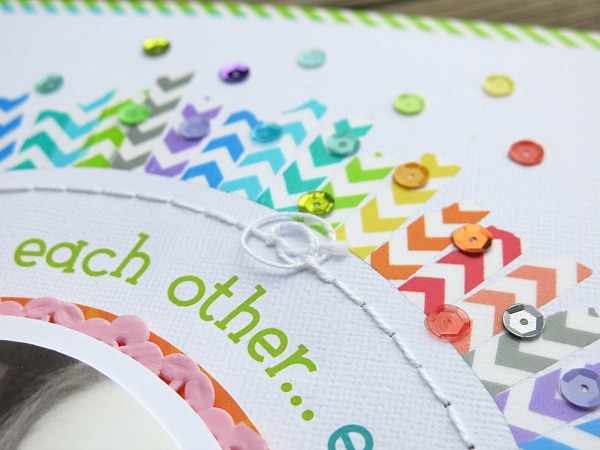 Totally awesome layout, love the sequins with the washi tape, and the colours are brilliant.